Have you read Key 1: Vision and Key 2: Empowerment? If not, I recommend you do so now before reading this article since each key will build upon the previous ones. I apologize for the length of time it has taken to get this article published. I have two reasons for this: One, I came into a busy season in life that is just now starting to slow down again; and Two, Discipleship is an area that personally I feel under-qualified to discuss. There are so many ideas and approaches to this topic that I wish I could articulate in this article, and at the same time, I lack the long-term practical out working of making disciples in my life. I have many years experience in mentoring teens through a previous job, but legal restraints set strict boundaries about what parts of my life could be shared. Only recently have I engaged in a full-time mentoring process, and like I said, I don’t have a long-term practice in this area. If you have not taken the initiative to seek out a mentor and/or to mentor others, then this article is for YOU. If you are already involved in the discipleship process, I still feel there is something to gleam from this article, so keep reading, and leave some advice or comment. I want to begin this discussion with a brief story of my journey into the mentoring process, and I will close with a glance at the model Jesus used. I had spent several months (over a years worth) looking for someone – ANYONE – to mentor me before one actually came my way. I was picky about who I would sit under because I understood that the water you sit under better be clean or you will get dirty. The specific mentorship I was looking for was primarily spiritually focused. I knew that God was calling me into areas that were completely unfamiliar, and I didn’t want to discover those places on my own, or be led away from the vision I felt God had given me. I also knew that having a mentor would give some accountability in terms of motivation and encouragement when the journey would become less than fun. During my period of asking the Lord to send a mentor my way, I found informal mentors by reading books and listening to leaders I thought would challenge me. Although this provided some direction, it still was no substitute for a committed and formal leader who was living the message I wanted, and who would personally challenge me to go after all I felt God calling me to do. After about a year of searching, a leader approached me and offered to take me in. As it turned out he had a real heart to father the next generation of leaders in the church. His goal was to build up and encourage a core group of people to walk in the power and understanding that had taken him almost a life time to reach. His ceiling has literally become my foundation, and as his ceiling continues to raise, the foundation in my life gets taller. As I have given myself over to my mentor’s direction I have seen tremendous growth in ALL areas of my life, but especially those areas closest to my goals. As I have honored my gifts and continued to be intentional by sharpening these saws, the Lord has begun opening many doors that have expanded my sphere of influence in these areas. Jesus clearly saw the link between discipleship and legacy (which we will talk about later). He knew that His message would be pointless if there wasn’t anybody to carry the torch after He left. Jesus picked 12 men that He spent 80% of His time with, pouring His life into them and teaching them about the Kingdom of heaven. He demonstrated what relationships should look like and He commanded anyone who follows Him to do the same. Discipleship goes beyond proselytizing and into the business of replication. The goal of discipleship is not to get others to agree with WHAT you think and feel, but to spend enough intimate time with them so that they know HOW and WHY you think and feel. Remember, Jesus only had three years, yet in that time he instilled such deep values and understanding of His world that 2000 years later people are still buying into His vision – and many give their lives for it. I know that mentoring and discipleship are important, and I am aware of the benefits, but I do not have a “5 point guide to mentoring” … YET! I think that is the point though. So much of life is lost as we try to figure out the right formula to do something. In my experience, the funnest bits of life are spent learning to fly AFTER jumping off the cliff. As one of the leaders at my church often says, “We’re going to do it THEN figure it out.” Although I do not agree this should be done in all instances, sometimes you need to “risk it to get the biscuit” (from movie Fired Up). If you want to go to the next level in an area of life, give others a platform on your ceiling. Invest time and energy into people with similar goals, and you will find yourself elevated in the process. The earlier post was about empowerment; discipleship takes that principle a step further by sticking with the empowered individual and replicating your abilities and knowledge in them. 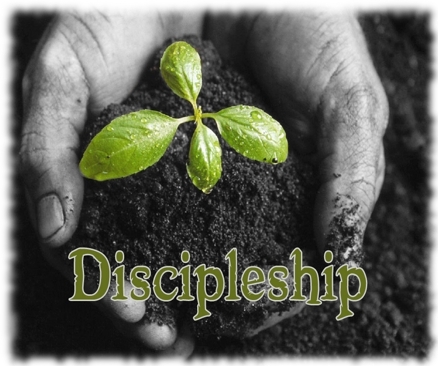 What advice do you have for those embarking on the discipleship journey? How did you find a mentor, and what tips can do you have about mentoring others?